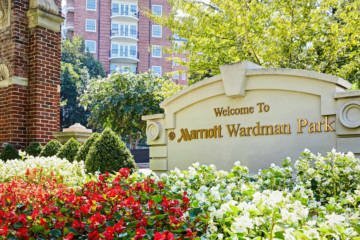 Where to Eat, Sleep and Explore in Washington, D.C.
LuxeGetaways Magazine – Fall 2016 | It is fair to say that Washington, D.C. remains in the international spotlight, but with a bizarre presidential election process that is taking place in 2016, the entire world has their eyes on D.C. now more than ever to see what might happen next. For those preparing their own visit, we wanted to provide the basic essentials for planning your getaway so that you can be close to all of the political action – or stay clear of politics altogether, and focus on the dining, shopping and other cultural activities available in Washington, D.C. The neighborhoods of the District (and the surrounding areas in Virginia and Maryland) each provide something entirely unique to the locals and tourists alike. In the District, dive into the history and politics on Capitol Hill; walk the streets filled with great bakeries, boutiques and high-end stores in Georgetown; explore the up-and-coming areas of trendy Penn Quarter and Chinatown; navigate the chaos on foot (or in a car) that surrounds the area of Dupont Circle; or enjoy the pockets of quiet areas mixed into the intriguing museums and historic landmarks along the National Mall. In Virginia, visit the malls in Tyson’s Corner; mingle with the locals in Clarendon; explore the history of Old Town Alexandria; dine with the locals in a neighborhood filled with numerous restaurants in Shirlington Village; or venture into Maryland for great dining in Bethesda, or the shopping and entertainment options at National Harbor. With so many international influences and things to see and do; take the time to get to know the area, and then create your own Washington, D.C. getaway! Our Favorite Cherry Blossom Offerings in Washington D.C.
Great list. Bookmarking as I will be spending a lot of time in the DC area for the next few years.